Deborah Sales, Director of Development, Marty Maiers, President, Old Capitol Kiwanis Club and Debb Green, Coordinator of Children's Services are shown with puppets and books that will be used to comprise storytelling kits recently purchased by the Old Capitol Kiwanis Club. The storytelling kits will be circulated but will also be used by library staff members for storytelling at outreach locations such as preschools and neighborhood centers. 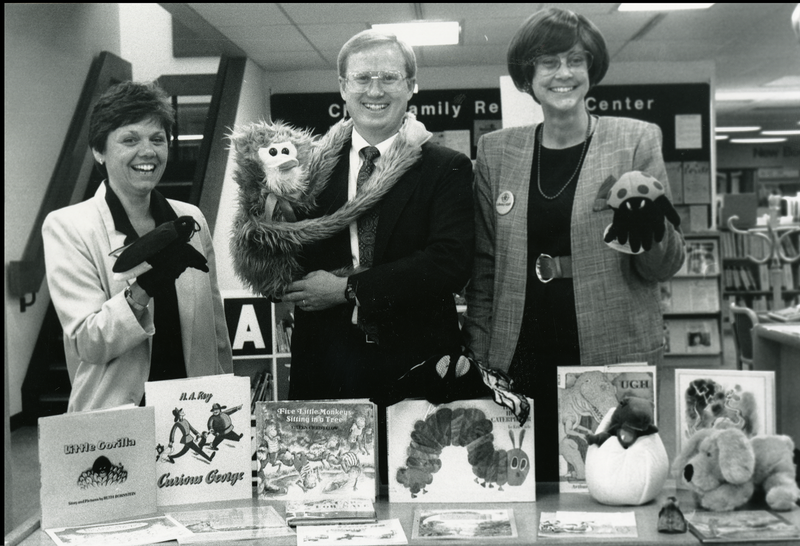 Iowa City Public Library, “Raising Money for the Children's Department,” Iowa City Public Library, accessed April 24, 2019, http://history.icpl.org/items/show/2716.